Peggy Anne Salz is the Content Marketing Strategist and Chief Analyst of MobileGroove. The best gaming apps – and the best performance marketers – get to the top because they combine creativity and a data-driven approach. Mobile attribution – which allows user acquisition teams to measure the effectiveness of marketing efforts and optimise campaigns and creatives to make the most of their ad spend – is clearly a must. Unfortunately, figuring out the best fit for your app and budget is not so clear-cut. It’s about evaluating your tools – and asking the right questions – to identify the tech (and the partners) that will allow you to fight smart, not drive blind. 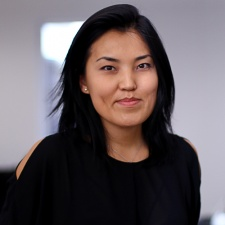 This is where a new (and free) template from Saikala Sultanova - Head of User Acquisition at Space Ape Games and Co-Founder of the UA Society, a not-for-profit, global organisation dedicated to advancing knowledge-sharing around mobile app growth – provides a detailed and valuable checklist to follow. While the list is comprehensive, the areas you emphasise (and the scores you give them) will depend on your app company and objectives. Saikala tells me she arrived at the segmentation and the score by asking her team to identify the pain points in their daily routine. This approach produces a list of “table stakes” – top requirements UA managers should expect and demand from a mobile attribution vendor (Saikala ranks these a five) – and a wish list of everything else (ranked four and under). What good is the best UA tool on the planet if you don’t have around the clock support, or ongoing training? Overall, the checklist combines some rather standard requirements you would expect from any mobile tracking solution (integration, currency conversion and lightweight SDKs) with a detailed list of what Saikala calls UA-specific features – requirements many teams would not think to rate, let alone want. These range from intuitive dashboard navigation – “the dashboard should be designed in a way that gets you where you want to be in the least amount of clicks because you’re saving time to do other things and, ultimately, work more efficiently” – to the number of mobile ad networks integrated with the mobile attribution solution. “You want the highest number because then you have the flexibility to start working with any network at any time – with no limits," says Saikala. Here are a few of the op requirements you should have top of mind – and compelling reasons from Saikala why you shouldn’t compromise. Facebook MMP status: Facebook is a massively important marketing channel, so you want to team up with a mobile attribution partner that is also a Facebook Mobile Measuring Partner (MMP). “You want the click data to make sure you don’t pay for an install twice,” Saikala explains. Post-backs for all events: When it comes to UA some user events are custom, others aren’t – and all are incredibly important to understand and optimise campaign performance. Some tracking solutions set defaults around the customer events that will be trigger post-backs. But this approach flies in the face of what UA teams need most: speed and flexibility to decide which post-install events they want to send to ad networks – namely all of them. Providers that put a limit on the post-backs for customer events are also creating friction in how UA teams work with ad networks – and the results they can achieve. New channel testing process (FAQs): It may seem like a small item, but Saikala stresses it can save a huge amount of time. “Let’s say you want to onboard a few new mobile ad networks. You have to generate tracking links, integrate them and plug them into every single tool so we can be sure to connect and receive the data,” she explains. You have to move faster and you can’t wait for Day 30 retention to fine-tune your campaigns. Choose a provider that doesn’t pass this requirement, and you may find yourself having to email each network separately for instructions because your provider lacks an updated knowledge base. Tracking links & post-backs in one widget: Time isn’t the only savings when you can generate tracking links and post-backs in one place. “If these steps have to be done in separate windows, then you can easily forget about configuring the post-backs,” Saikala shares from her own experience. Automatic fraud detection mechanisms & visualisation: Fraud detection is a must for all app marketers, but Saikala tells me the nirvana would be an automatic detection mechanism that also visualises the fraudulent traffic in a way that teams can understand. Ideal, in her opinion, would be a color-coded bar that alerts and informs. “It would detect and then tell me, ‘Hey, at the moment, for the last seven days, a certain percentage of your traffic is fraudulent from channel X’. That would allow me to make a data-informed decision. "If the channel is valuable and fraud is a super-low percentage, then I may decide to continue the campaign. If not, I may decide to stop it straight away. But the point is this would give me the control to make a call." Campaign name prefixing: A small change can pay off big time – and that’s the outcome every time a mobile attribution solution removes the friction – and the tedium – from setting up campaigns. If the channel is valuable and fraud is a super-low percentage, then I may decide to continue the campaign. If we consider that teams are managing 10 to 1,000 campaigns a week depending on the number of games or the number of countries they cover, then not having to add prefixes (SMARTLY_, TPN_, TAP_) to routing attributions is a shortcut to higher speed and efficiency. Keep in mind this checklist is not “set-it-and-forget-it”. Saikala advises UA teams should evaluate tools and partners every six months, and take every opportunity to test-drive tools and vendors to give them some time to perform. Of course, time is short so don’t worry if you can’t give time to every partner; it’s a stretch goal. It’s also important to task one person with the evaluation – otherwise it may end up muddled or – worse – incomplete. My take: Every app marketer wants to measure the effectiveness of their campaign efforts and ad spend. 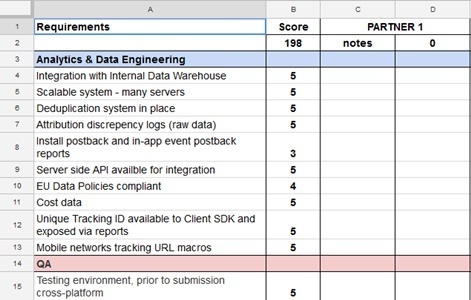 While Saikala’s checklist highlights what UA teams need – and should demand – from their vendors, the sole focus should not be on the scores they are given or the features they offer. The real value of her checklist is the commitment it represents, encouraging UA teams to have open and frequent dialogue with their partners about pain points they suffer and the solutions they would like to see most. You can view Saikala's checklist right here. This was part of the MGU course Mobile Games University: Paid User Acquisition 101. For more articles in this course click here. 2019 is the year of performance programmatic buying - are you ready?